The Christmas season brings the perfect opportunity for popping that big question. Your nearest and dearest are nearby to share the exciting news, the Christmas decorations provide a romantic backdrop and the party atmosphere is already set. 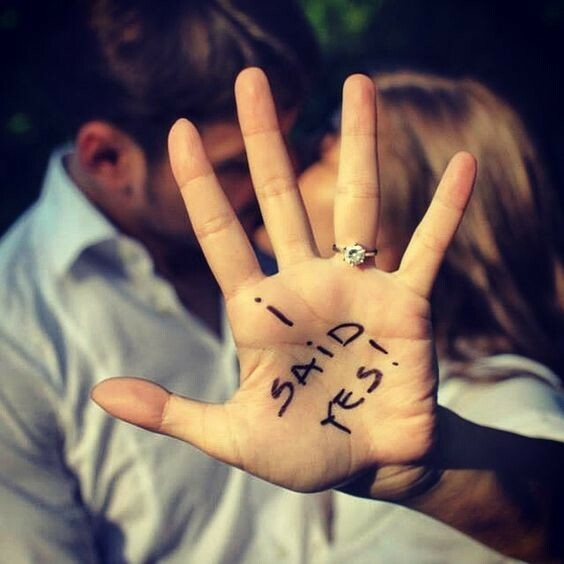 If you got engaged over Christmas or New Year, whether it be an intimate engagement by a crackling fire, or a showstopping display of affection in front of your family and friends, you are most probably feeling incredibly excited to start wedding planning. CONGRATULATIONS!! Organising your wedding can be a daunting prospect, that initial excitement, shattered when you see the minefield of options on offer. So where to start? Arranging your ceremony, venue and caterers are usually the biggest jobs on the ‘to do list’ and can be stressful. However, it doesn’t need to be… we give you our top tips on finding that dream caterer. 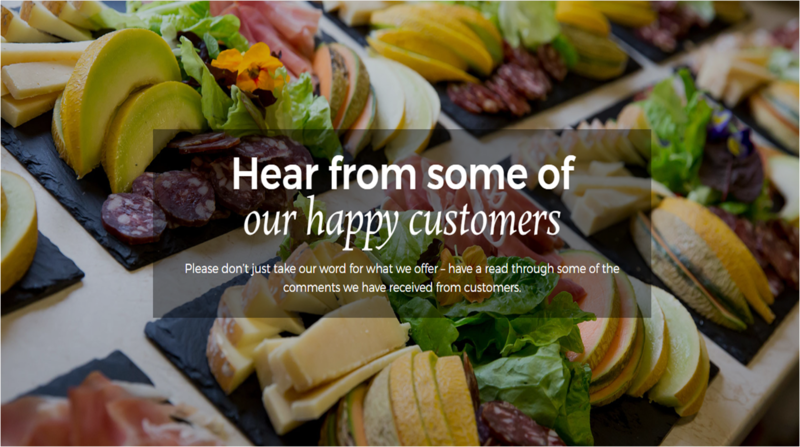 From the initial enquiry to your wedding day, strong communication with your caterer is paramount. Now whilst it is unreasonable to expect a response on a Saturday evening, when they are busy looking after another client, it is reasonable to expect prompt communication. If you’ve waited a week to hear back from them with no explanation, are they really going to be there to answer those all important questions down the line? 2. What does a potential caterer need to know? When you send that initial enquiry to a caterer, try and include as many details as possible. The more information you provide, the more information the caterer can give you. Your potential venue, approximate guest numbers for the day and evening, any food ideas, timings of your day, and your vision is all information that can enable the caterer to build a picture of what you’re looking for. Know your potential venue and what they have available. If they supply arrival drink service or they have a cooker available for use, tell your caterer. This will allow them to give you the most accurate quote possible. Some venues have a preferred suppliers list, so if you have a specific caterer in mind, check that they are able to cater at your venue before booking. 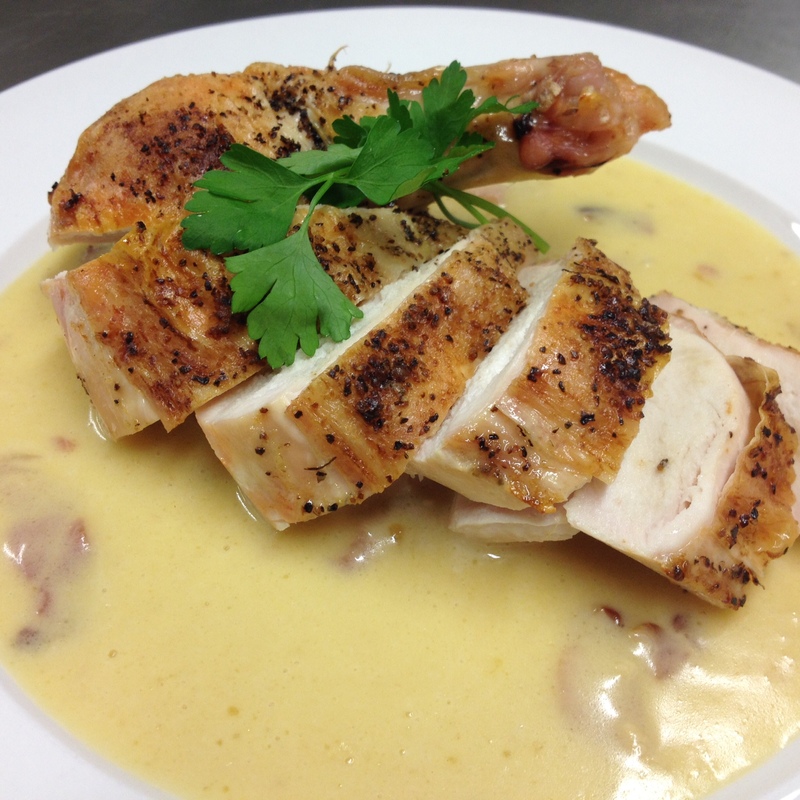 It may be that your favourite caterer simply hasn’t catered at your venue before. Have you received a quote that just seems a little too good to be true? Chances are it probably is! If you receive a quote with your dream menu at a significantly lower price than other caterers, it is likely something is missing. Does it include hire of crockery, cutlery, glassware, cooking equipment, refrigeration, waiting staff? If this is not itemised on your quote, tread carefully!! Here at Oaktree Occasions, we ensure that all of our quotes are as transparent as possible detailing every cost leaving you with no hidden surprises. Check out their social media and website for reviews and testimonials. Have they catered for a wedding with similar ideas? How was it? Were the clients happy? Do the photos look like what you imagined? On that note, look for photos that show their food out and about. Can they maintain the high quality whilst catering for 150 people in a marquee, in the middle of a field? Do they offer tastings? Tastings are the ultimate opportunity to finalise menu choices and discuss your day in detail. 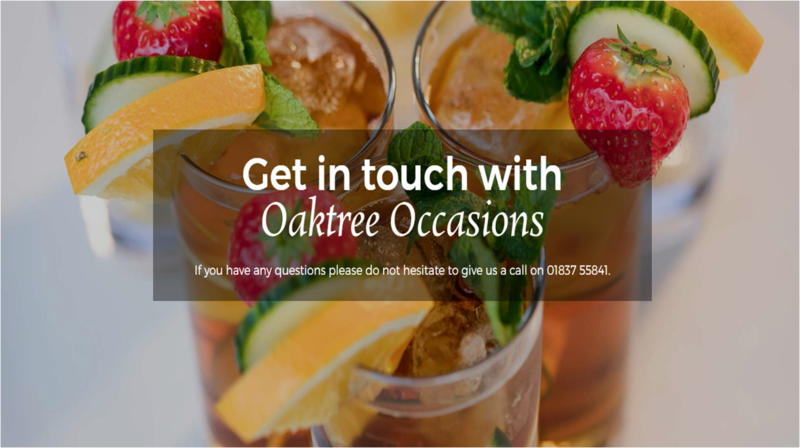 Here at Oaktree Occasions, we actively encourage our couples to visit us for a tasting and bring along their close family. Make a day of it, bring a bottle of your favourite wine and make the parents feel involved by inviting them along. Tastings allow us to really get to know our couples and ensure that we have captured their ideas. For more handy hints and tips, see our stress free wedding guide. If you’re engaged and on the hunt for a Devon caterer to look after you every step of the way, contact us, we are more than happy help.